Ever since coffee was invented, there has been a myriad of inventions geared towards producing the perfect cup of joe. With all of these gadgets, The core method of brewing coffee has stayed the same. You grind up coffee beans, pour hot water into them, and drink the extract. The machines invented to make coffee have ranged in complexity from a mesh filter to an all-in-one grinder and brewer. Two of the most common machines used to make coffee are the drip brew coffee maker and the French press. The first drip brew coffee maker dates back to the early 20th century. A German woman named Melitta Bentz created the first filtering system for making coffee. While her system was just a filter and a pot, her invention gained immense popularity in Europe and the U.S. Today her company, The Melitta Group, is still thriving. 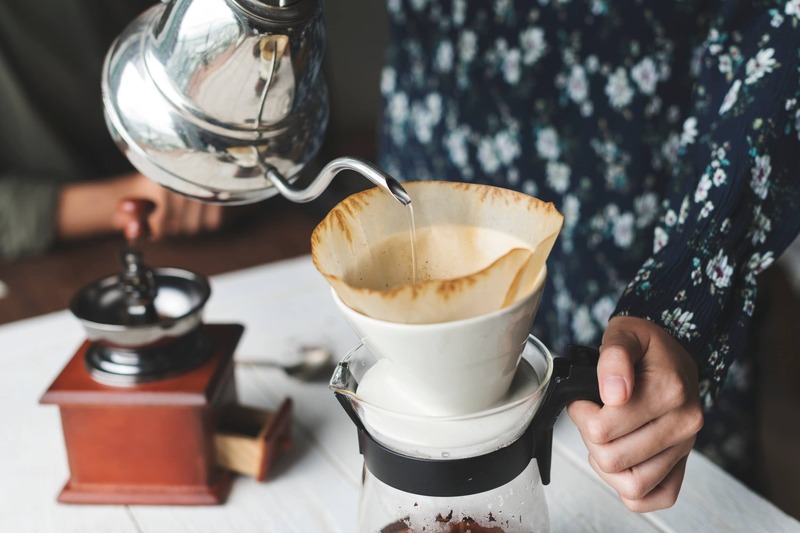 As you’ve probably guessed, the drip brew coffee maker works by pouring hot water over coffee grounds through a filter. Over the years, there have been several components added to make using the drip brewer easier and more convenient. The first drip brewer that Melitta created used blotting paper as a filter. Today we still use paper filters. There are also some coffee makers that use reusable filters a mesh made of plastic or metal. The two biggest components that make the drip brew the machine that it is today are the heating coil and the water pump. These two parts remove the task of having to heat the water yourself. A heating coil is an electronically heated coil of metal, usually copper or aluminum that automatically heats the water. The water pump is the second part of this dynamic duo. It pumps the water up into the sprinkler arm, where it dispenses the water to saturate the grounds. This means that you don’t have to pour the water yourself. Also, the water pump ensures an even saturation of the grounds. The overall benefit of a drip brew coffee maker is the convenience. The overall operation of a drip brew machine is fairly simple. You fill up the water pump, place a filter and grounds in the holder, and press a button. That’s all you have to do. It is so simple a child can operate it. With the use of electronics, coffee companies have added another feature that is a time saver. This addition is the automatic brew programmer. This allows you to set a time for your coffee maker to automatically brew a pot of coffee. All you have to do is set up the machine beforehand and press the program button. While a technical drip brewer sounds nice, you may prefer a simpler approach. That’s where the French press comes in. Strangely, an Italian named Attilio Calimani patented the first French Press, so we have no idea why it’s called the French Press. Unlike the drip brewer, with its many components, the French press only has 3: A beaker, a screen, and a plunger. To make coffee with a French press, you put combine coffee grounds and hot water in the beaker. After letting the mixture brew for a few minutes, you push the grounds to the bottom of the beaker with the plunger. 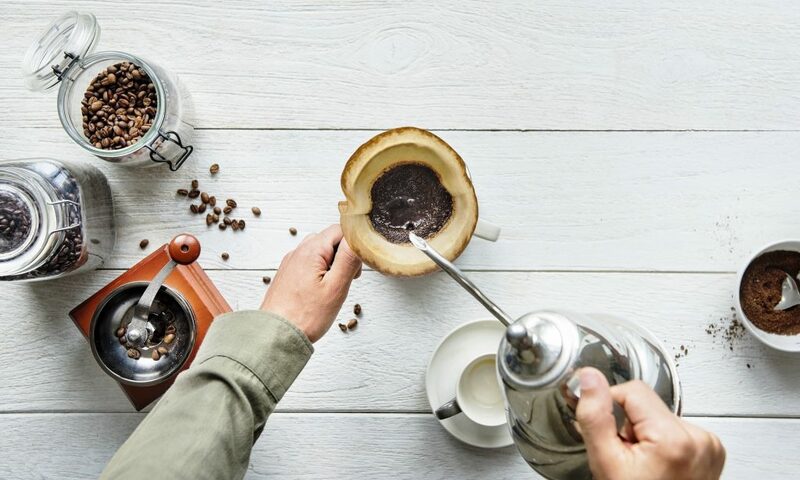 While the drip brew coffee maker offers a lot of high-tech gadgetry, the French press’s appeal lies in its simplicity. With this, you do not need buttons or even electricity. You just need coffee grounds, hot water, and a little bit of downward force. Some of the other benefits of using a French press are the ease of cleaning and portability. While cleaning a drip brew maker requires a brewing cycle with vinegar, all you have to do to clean a French press is throw it in the sink and wash it. The French press is also extremely portable since it is just the beaker with the plunger inside it. There are even versions of the French press that are travel mugs. In the most important area, taste, there is little difference between a drip brew and French press. The real difference of taste comes down to the freshness of the coffee grounds themselves. Now the grind level of the beans is a different matter. A drip brew works best with medium or finely ground coffee. This is because the drip brew uses a paper filter, and the water pump uses a sprinkler end to distribute the water. In contrast, a French press works best with grounds that have the consistency of sea salt. As far as speed goes, it is tough to quantify which is faster. While a drip brewer loads quickly and starts at the touch of a button, it’s called a drip brew for a reason. And while combining the grounds and water in a French press is done quickly, you have to heat the water yourself and wait for the coffee to brew for a few minutes. 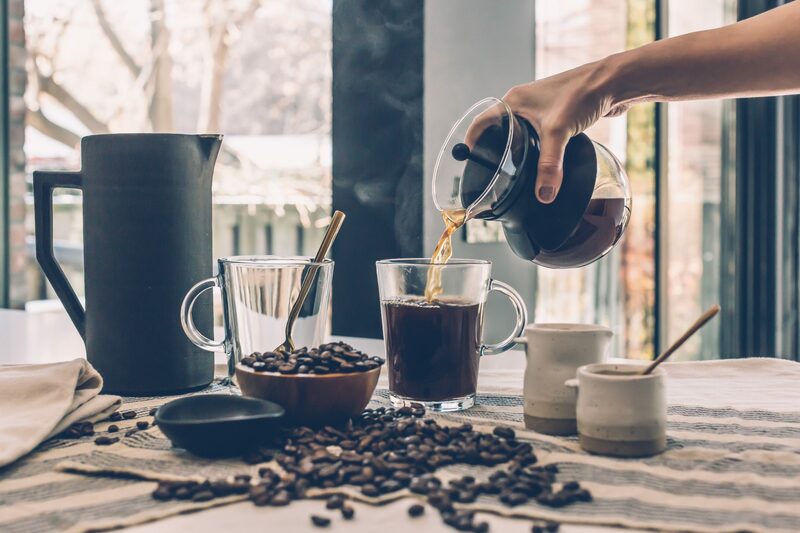 French Press vs Drip Brew: Which is Better? After looking at these two ingenious devices, we really couldn’t say which is better. Both have their merits and drawbacks, and both will produce great coffee. It all really comes down to personal taste. If you like the electronic convenience, go with the drip brew. 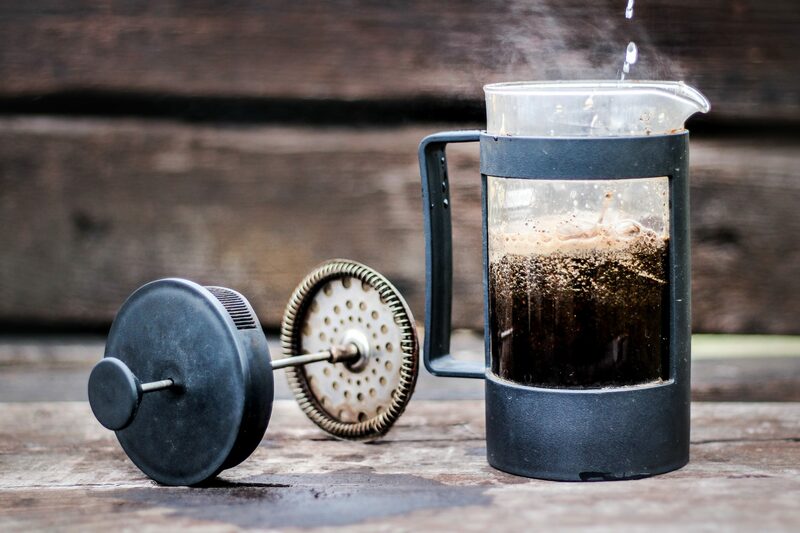 If you like a more hands-on approach, then the French press is right for you. But, as long as the coffee tastes good, everybody’s happy.